The adventure of a duck in pre-Revolutionary China teaches the importance of listening when mother calls. 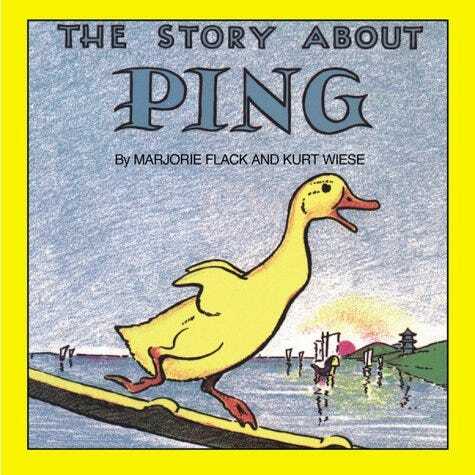 Ping is a spirited little duck who lives on the Yangtze River. His funny misadventures will delight young readers today as much as they did in 1933, when this classic tale was first published. Like so many other titles included in Sonlight's homeschool curriculum, you will learn about history and another culture through this little story. Part of your global adventures in your Kindergarten or Sonlight A package.